At present, Hong Kong is one of three sites outside of the U.S. where ARE is offered. Our study sessions are led by licensed AIA members and integrate content review, study strategies, tips & tricks, and sample questions. On Saturday, November 24th 2018, 10am-12noon at our chapter office in PMQ. We will present a discussion of electrical systems from ARE 5.0. 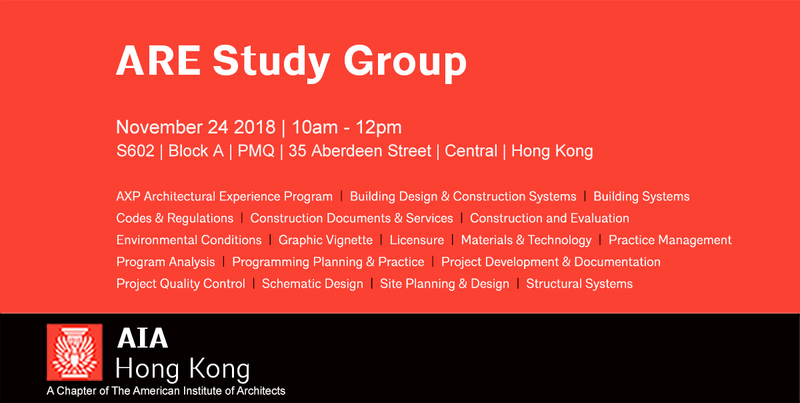 The study group will be guided by Andrew King, AIA.